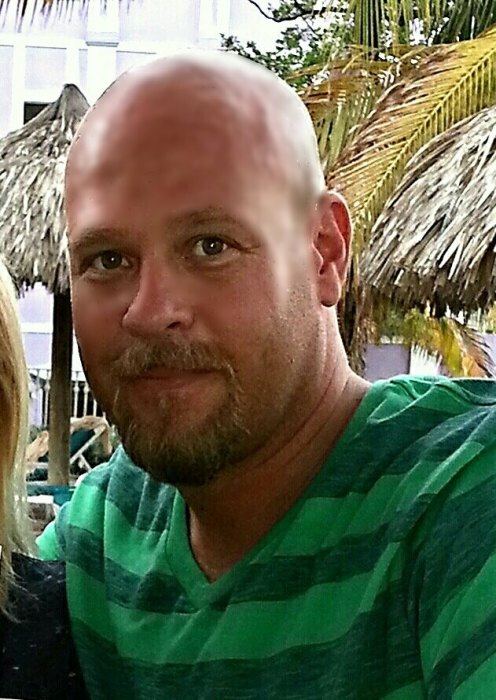 Chad E. Miller, born December 24th, 1972 of Hamilton, MI passed away unexpectedly on November 30, 2018. Chad will be remembered for his sense of humor and his charitable heart. Chad found his true passion in helping others. He did this by organizing charity events such as Legend Quest Bike Run which raises funds to help send both disabled veterans as well as special needs children on all-inclusive white tail hunts at the 2 Hats Ranch. He loved going on these hunts with both the youth and the veterans, the ranch was a very special place for Chad. Chad is preceded in death by his dad, Joe Miller. He will be lovingly remembered by his wife, Janet Miller; children, Dylan Miller, Brooke Miller; step-children, Dennis (Tabatha) Cornelisse, Holly (Joshua) Jeffery; dog, Molly; mother, Rosie (Dennis) Stickney, sister, Karyn (Brandon) Culver; grandchildren, Matthew, Emma, Kelly, and Simon; many nieces, nephews, and friends. Visitation with the family will be held from 2 - 4pm and 6 - 8pm, Wednesday, December 5, 2018 at Kubiak-Cook Funeral Home – Dorr Chapel, 4330 18th St., Dorr. Funeral Service will be held at 1pm Thursday, December 6, 2018 at the funeral home. Pastor Steve Collins will be officiating. In honor of Chad and in lieu of flowers contributions may be made to the family for funeral expenses. The family welcomes memories and messages in their guest book online at www.kubiakcook.com.